Europe is divided between two warbler species. 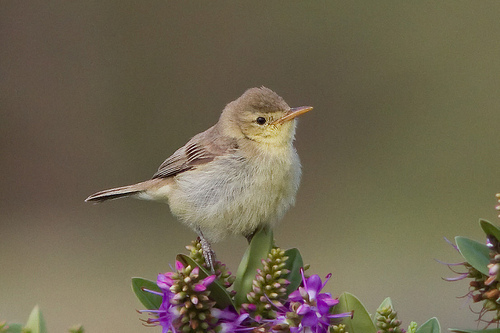 The southwest (Spain and Portugal) is occupied by the Melodious Warbler, while the Icterine Warbler nests in the center and north. 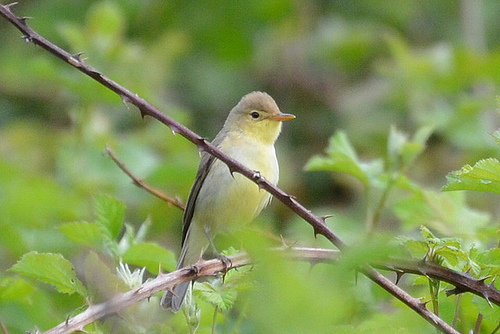 In western Europe the Melodious Warbler is a rare breeding bird.